This product was added to our database on Wednesday 29 March 2006. 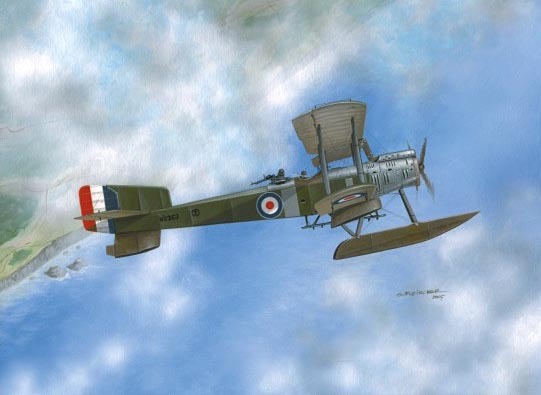 Fairey Campania - two-seat patrol seaplane, was the second plane designed by Fairey Aviation & Co. in early 1917. It was the first aircraft especialy designed for carrier use. The Fairey seaplane was named Campania after its intended mother-ship HMS Campania (ex-Cunard passenger liner, 20.000BRT). Fairey Campania's gave good service on patrol duties both from various home stations and seaplane carriers. Some have been used from Archangel during home-war against Red Army.